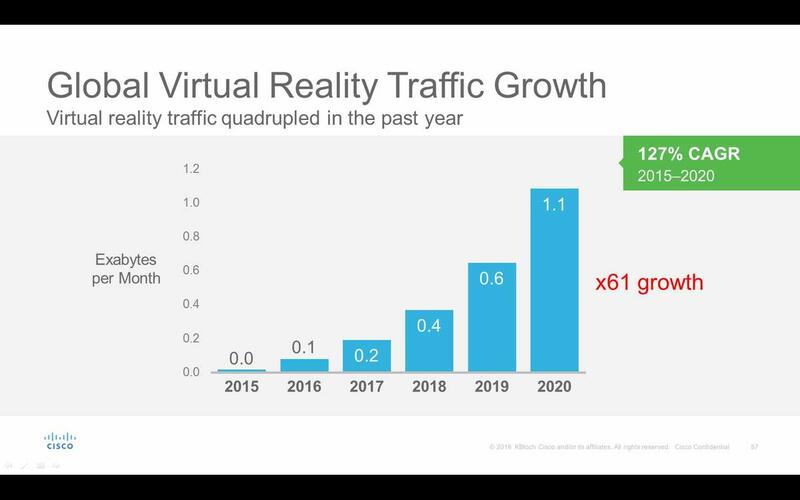 Cisco has delivered its 2016 Visual Networking Index internet traffic forecast which predicts internet traffic growth going out to 2020. Previous forecasts have been within 10% accuracy but it was noted that the 2010 prediction figures for 2015 were within 0.2% accuracy. The forecast describes how this year the world will cross see 1.1 Zettabytes (1021 bytes) pass through the internet but this will grow to 2.3 Zettabytes in 2020. 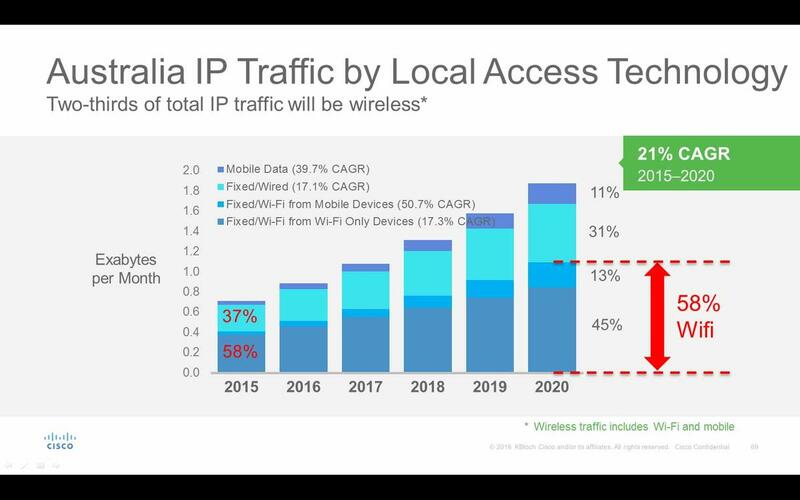 This would mean that as much traffic will cross the internet in 2020 as in all the internet years before 2013 combined. The extensive figures show continued explosive growth in traffic flows both globally and in Australia – near the time when the government’s nbn copper-network upgrade is scheduled to be finished. By 2020, 82% of Australian internet traffic will be video. 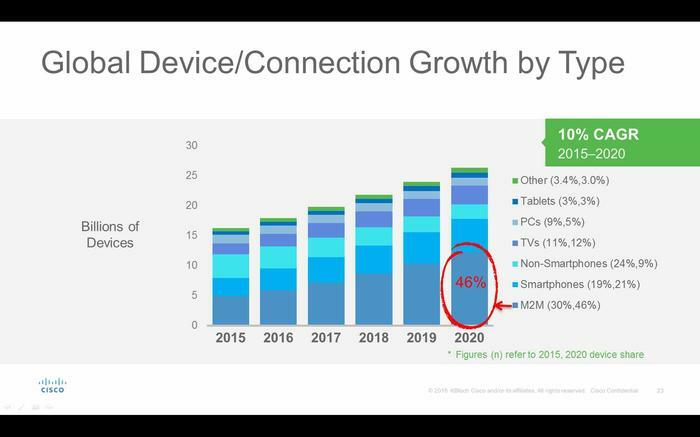 Meanwhile, between 2015 and 2020 the number of connected devices will almost double from 130million to 237million. Over half of that will be Machine-to-Machine (M2M) related – machines talking to each other is generally referred to as the Internet of Things (IoT). 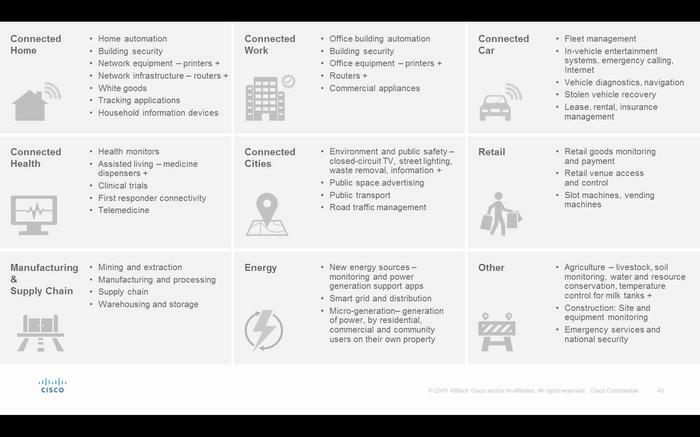 Indeed, by 2020 while there will be 8bn people potentially connected online, there will be 50bn connected machines. 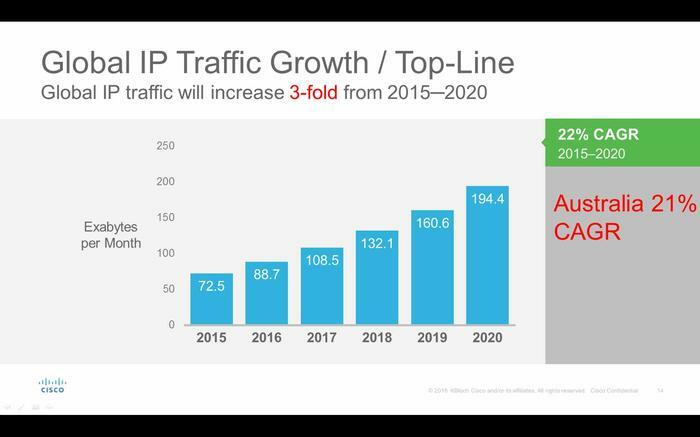 Global IP Traffic Growth will increase 3-fold from 2015-2020. This represents a Compound Annual Growth Rate of 22%. Australia nearly matches this with 21% CAGR. The average broadband speed will nearly double from 24.7Mb/s to 47.7Mb/s globally with APAC region moving from 28.1Mb/s to 51.3Mb/s. 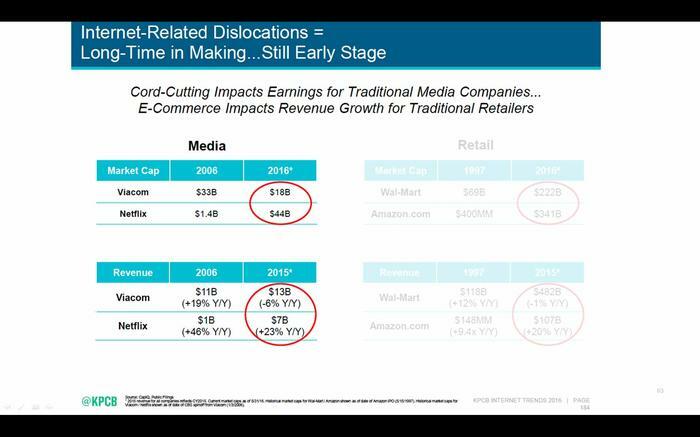 This slide shows what type of traffic is accounting for growth. By 2020 almost half of all traffic will be M2M which moves from 30% in 2015 to 46% in 2020. 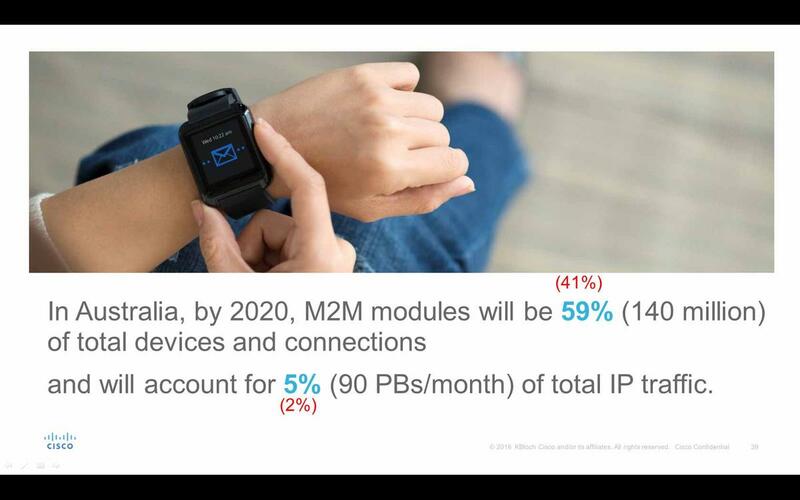 In Australia the change will be higher with M2M connections accounting for 59% of traffic up from 41% last year. Interestingly the proportion made up by smartphones (and PCs) will drop. Video capable device growth from 2015-2020. 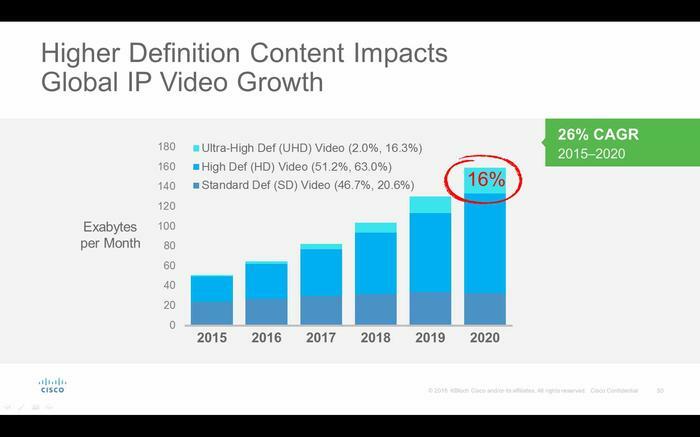 However, the slide also demonstrates that almost twice as much video content will be consumed on smartphones (43% by 2020) – many of which will have 4K screens and cameras by that time. 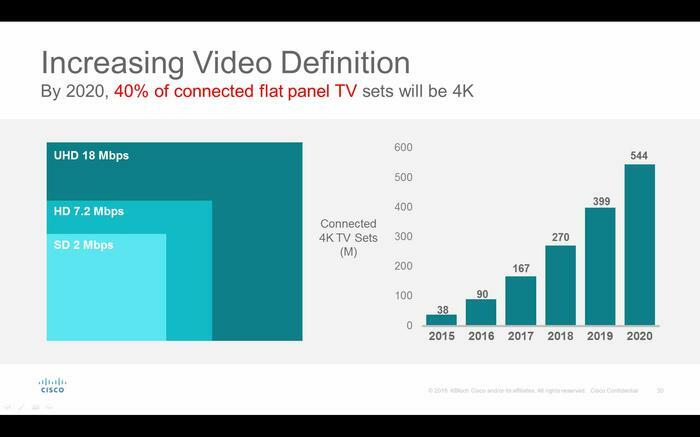 While 40% of connected flat panel TV sets will be 4K by 2020 more-interesting figures were presented from Strategy Analytics: by 2020, all 40-inch or larger TVs sold in Australia will be 4K. 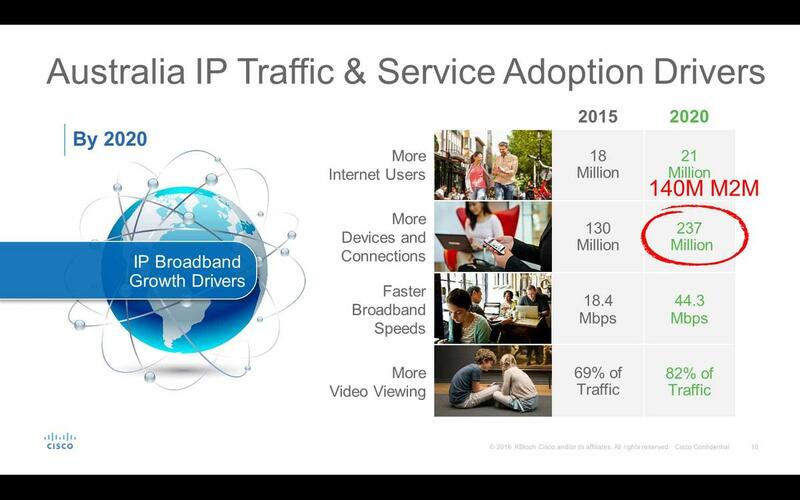 This would mean that the proportion of Australian 4K televisions will move from 5% to 48% in just five years. 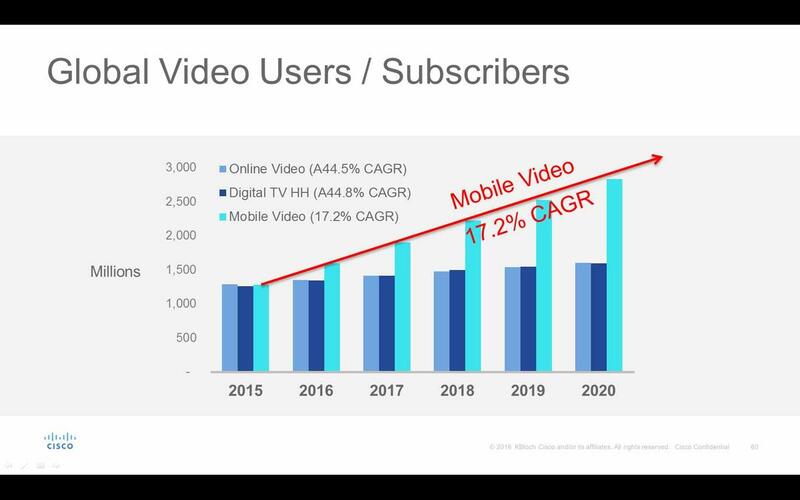 With all of these relying heavily on internet-delivered content, the impact that will be had on networks will be extreme. 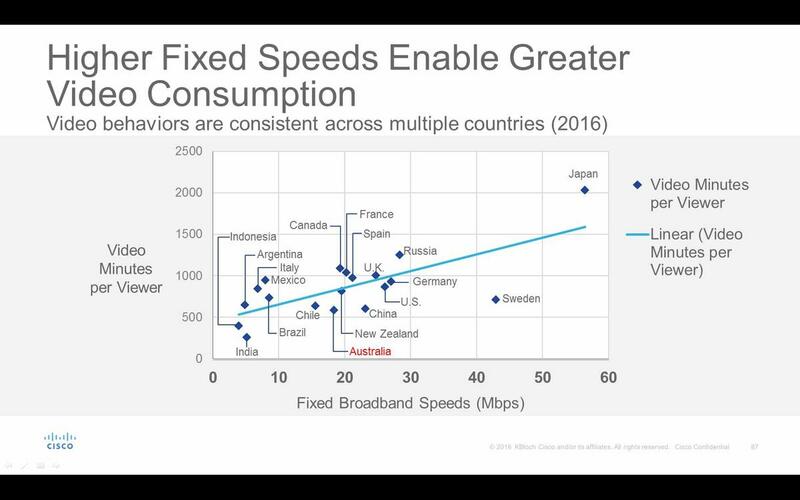 This is particularly relevant to Australia’s nbn planning which is based upon the Vertigan Review notion that the the median Australian household bandwidth requirement is 15Mb/s download speeds by 2023. 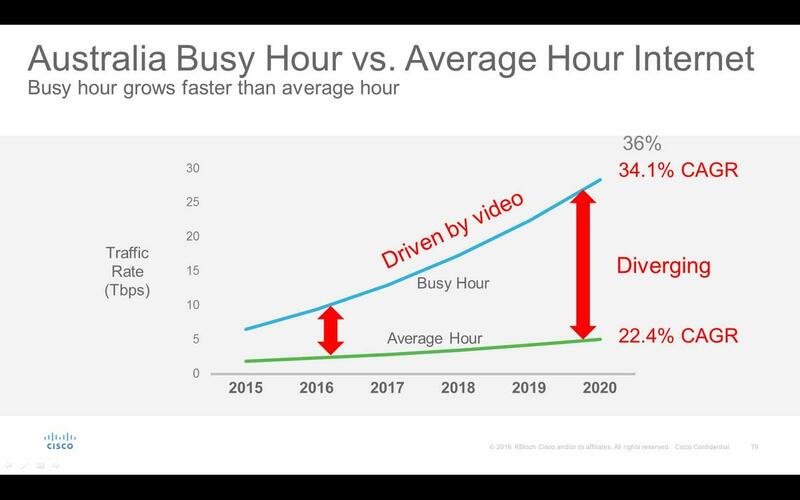 That’s not enough for a single 4K video stream into a single household and further illustrates that the government’s forecasts are woefully inadequate for even the most basic internet functions. 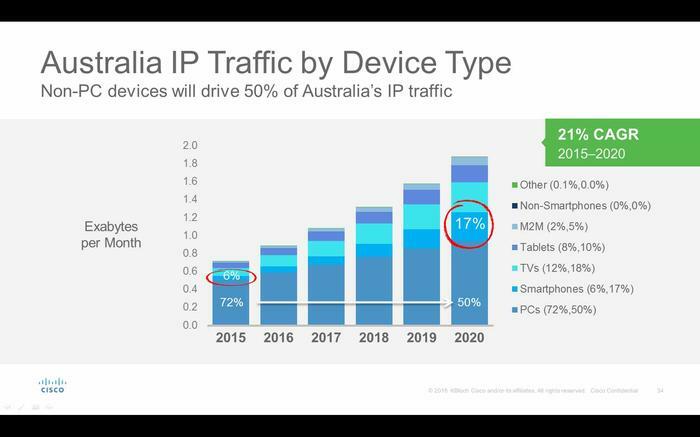 Australian Average traffic per device in MB per month. AVERAGE Smartphone data usage moves to almost 12GB per month – an increase of 6.8x over five years. The importance of offloading to WiFi will increase. Australian traffic by device type – non PC devices will drive 50% of Australia’s traffic (PCs accounted for 72% of Australian traffic in 2015). M2M growth in Australia is very high between 2015 and 2020. 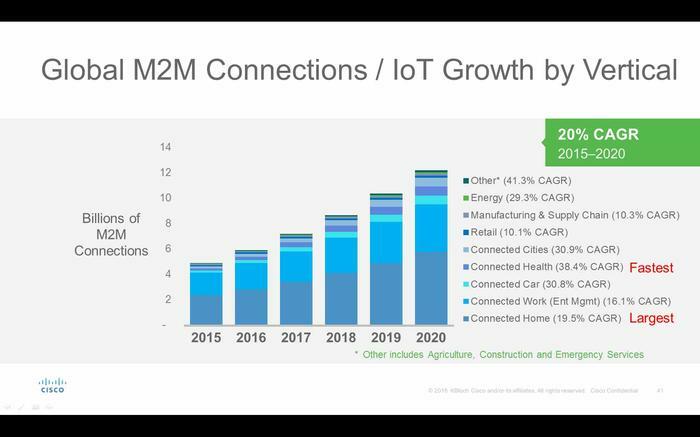 M2M connection growth. Connected Home accounts for the most traffic (200 million smart homes globally up from 90 million in 2015) but Connected Health is the fastest growing (144 million connections in 2015 up to 729 million in 2020). Note too that Connected Cars have made themselves visible and are growing fast. Areas where growth will occur. 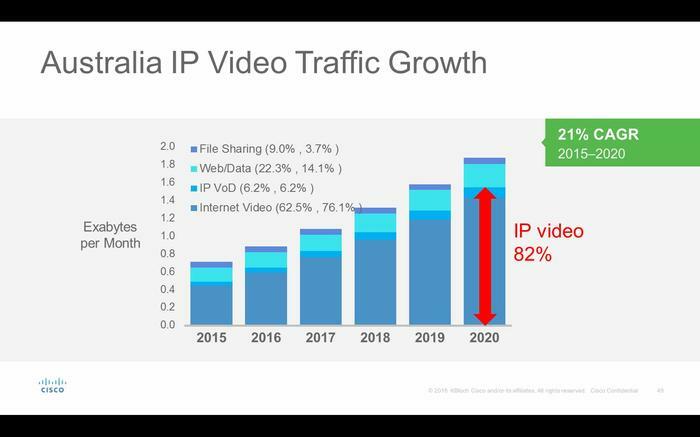 Australian video traffic growth grows by 21% CAGR in the next five years. Global video sites by traffic volume. Only two of the top fifteen are file sharing sites. Global video surveillance traffic grows ten-fold from 2015 to 2020. Individual cameras that sent 1GB of data in 2015 move up to an average of 2.4GB. Global gaming traffic growth – 45% CAGR – sees data grow seven times over to more than five Exabytes per month. It’s not just Computex that showed us that VR is coming and will be here to stay. It will experience 127% CAGR growth from 2015 (when it barely existed) to 2020. Global video growth is enormous, particularly in the Mobile Video sector. Figures also show that in 2015, households which move away from cable and free to air TV consume twice as much data as other households. The impact of internet on a Cable TV company (Viacom) versus an online TV company (Netflix). These are the sort of figures that make Foxtel execs sweat. Australian internet usage per user and per household – usage more than doubles between 2015 and 2020. 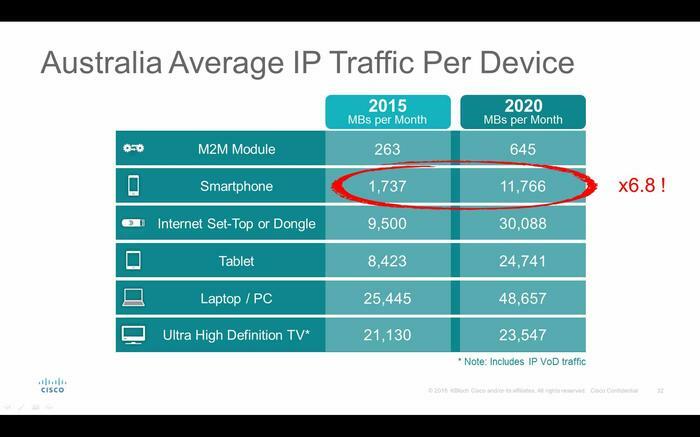 If the average household uses 149GB of data per month, the notion that a connection speed of 15Mb/s will be enough is laughable – especially considering that data consumption will continue to grow dramatically after 2020. 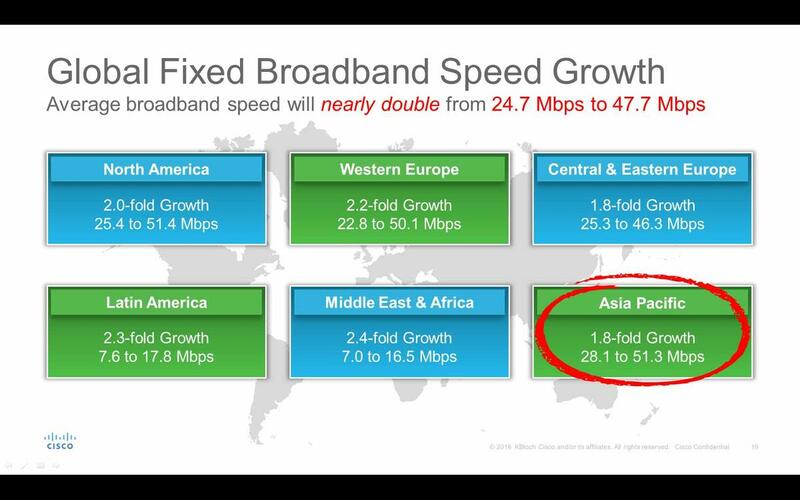 These figures are also dramatically behind the Global average of 250GB per household per month. Peak hour traffic is expected to rise dramatically from 22.4% CAGR to 34.1% CAGR in Australia due to video consumption. This growth concerned a Foxtel representative enough to ask a question about it and he was told that the launch of Netflix in Australia last year was primarily the cause. 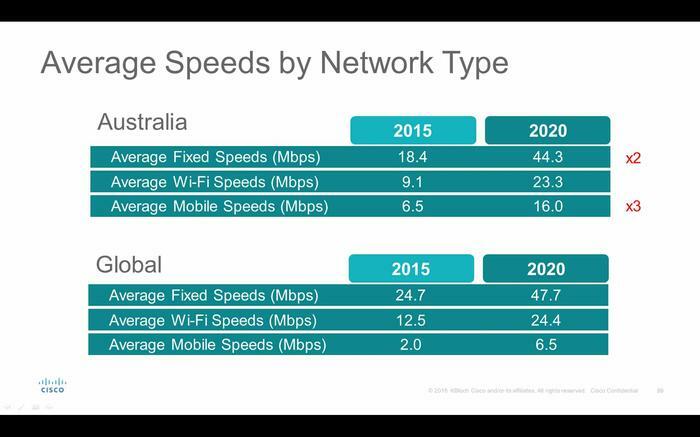 Parts of Australia are already experiencing significant drops in internet performance as the networks become saturated at peak times. That this is likely to increase dramatically should concern users and network operators alike. Average speed by Network Type in Australia. 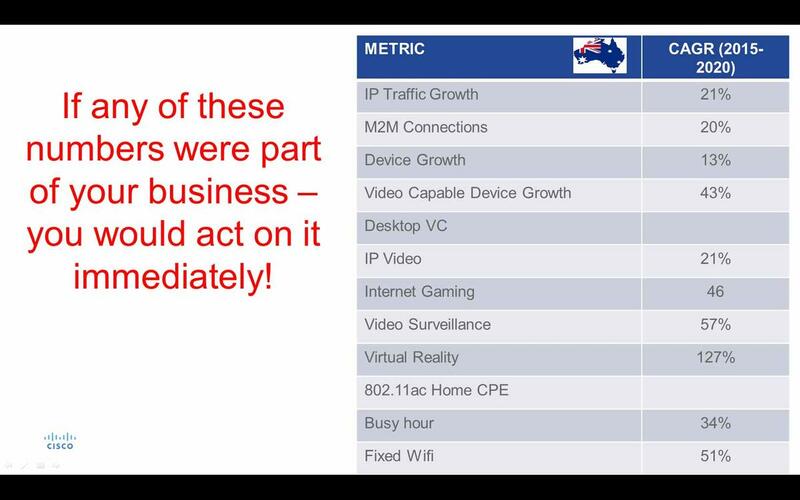 Kevin Bloch told us that these figures were largely based on what the nbn company says and what it has published. As such they should be taken with several fists full of salt. Video minutes watched per viewer correlates with fixed broadband speeds. Completely unrelatedly, this is a strong reason for cable companies to want to keep internet speeds as low as possible in Australia. 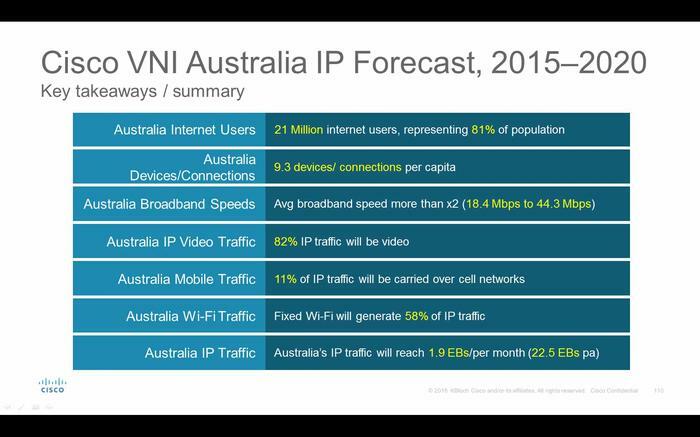 Cisco’s key takeaways for Australia: 21 million users (81% of the population) with an average of 9.3 devices per capita. 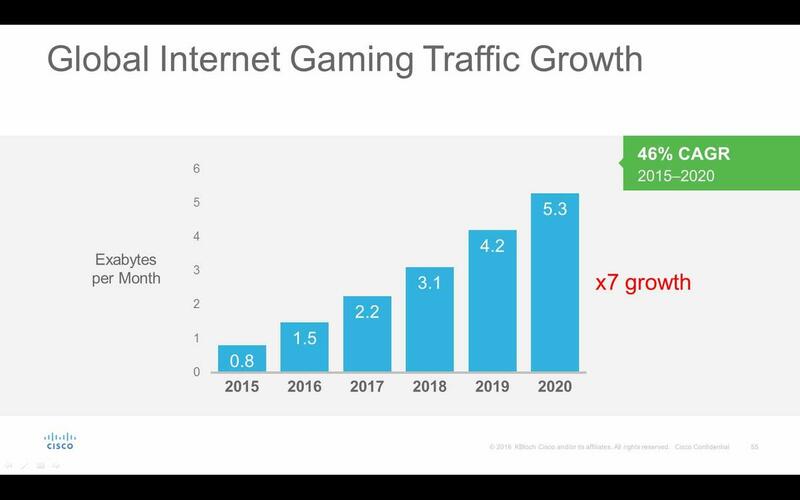 Sobering CAGR growth across the board for internet traffic between 2015-2020. 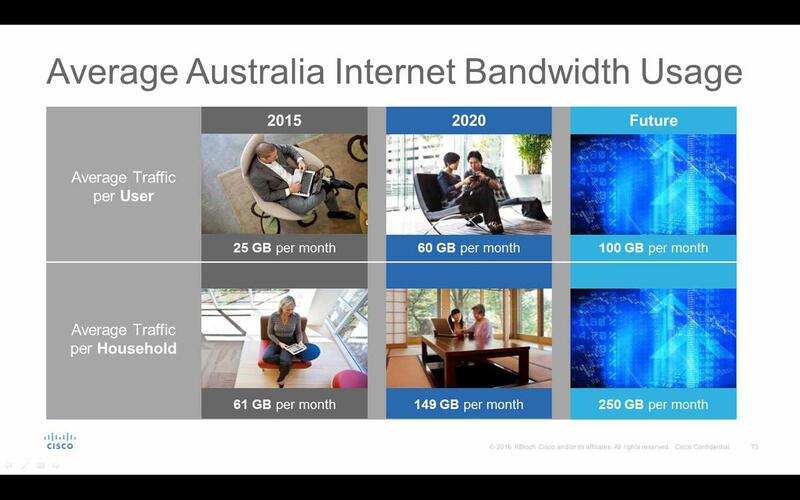 The Vertigan review panel which justifies the government’s destruction of the NBN famously said, “As of 2023, the median household requires bandwidth of 15 Mbps.” While that figure has been taken out of context by many, even allowing for Simon Hackett’s explanation of the reality of the number, it’s clear from these forecast figures that the government’s numbers, upon which the nbn company’s rollout is based, are wrong by orders of magnitude. The unsurprising statement that most mainstream TVs sold in Australia will be 4K compatible by 2020 and that this will mean 48% of all Australian televisions will be 4K by then, coupled with the dramatic amount of online content they will consume, blows this figure out of the water on its own. It’s then important to realise that growth doesn’t stop in 2020. The VNI forecasts in the next couple of years will describe infrastructure requirements which will make an increasing mockery of the Vertigan forecasts. However, at this point there is no CAGR figure to attribute to that.